The author takes in the long view of Death Valley from Wildrose Peak, elevation 9,064 ft. The peak is 4.2-miles from the trailhead, with an elevation gain of 2,200 feet. It must have been past midnight when I gave up on those raging northwesterly winds dying down for the night. They were blowing 50 mph and the temperature was in the mid-20s on Death Valley’s Wild Rose Peak. But the sweeping starry views were worth every frigid gust the Mojave Desert threw at me. I had decided not to bring a tent to this harsh and arid national park; instead, I wanted to test my new down sleeping bag out beneath the stars. The bag easily passed the test, but still, there wasn’t much sleeping going on because of those screaming winds. This starkly beautiful national park holds the lowest point in North America, and it’s one of the hottest, driest places on Earth. But there’s more to Death Valley National Park than its vast valley floor. Consider that Death Valley is also flanked by two daunting mountain ranges — also within the park — the juniper-covered Panamint Range, located between Badwater Basin and Mount Whitney, and the Amargosa Range, in all its dark, Mordor-esque intrigue. Badwater, the Racetrack Playa, the Devil’s Golf Course, the Artist’s Palette, Zabriskie Point, and other desertscapes lie within the arid valley floor between these seemingly barren mountains. You can also take your pick of creaky ghost towns to explore, each possessing their own desert charm. As lifeless as Death Valley can appear to be, those surrounding mountain ranges offer a different perspective of the desert, overlooking the diverse, unique landscape that helped it become a national park in 1994. 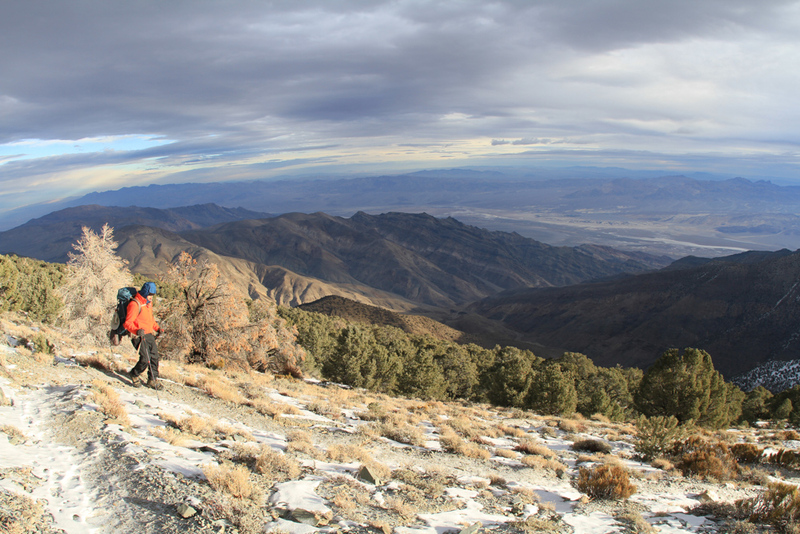 Try some hiking and backpacking in the Panamint Mountains. Follow Wildrose Canyon to the row of charcoal kilns. Along the way, keep an eye out for scruffy wild burros. It’s here you’ll find the trailheads to Telescope Peak (elevation 11,043 ft.) to the south and Wildrose Peak (9,064 ft.) to the north. The hike to Wildrose Peak is the shorter route and easier to summit. However, the views from both peaks are incredible. Planning a trip? First, visit nps.gov/deva/.